Want to learn more about gardening and herbs and have fun doing it? Attend as many programs as you can. I've compiled a list of ones that I'm aware of locally and around Texas with links to register or to gather more information. Know of any I didn't list? Let me know. 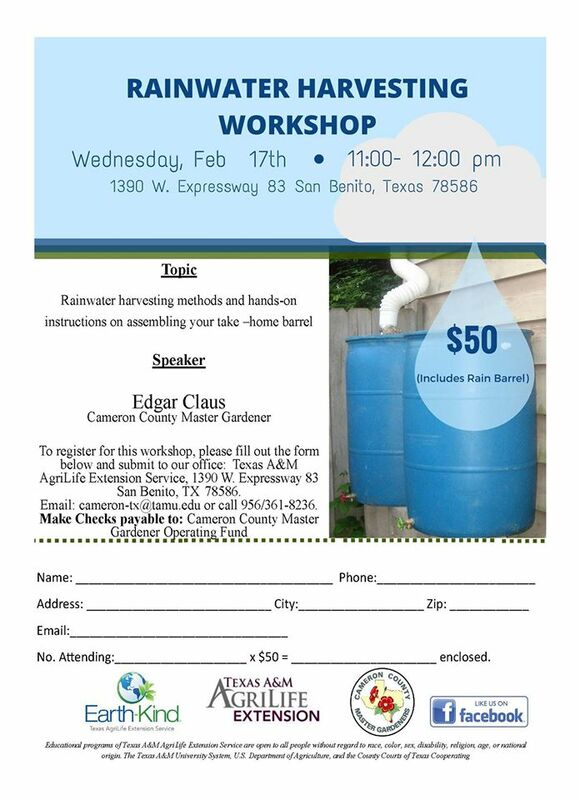 with Chuck Malloy, Cameron County Master Gardener. Be the first to pre-order your certified citrus trees. trees with techniques used by commercial producers. Bring your own grafting knife. A limited number of grafting knives will be available for sale. Other materials will be furnished. that you will graft in class to take home with you. with well known author Judy Barrett. 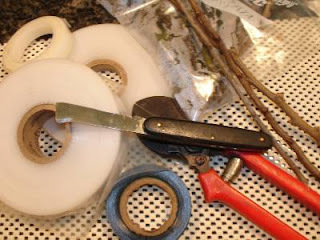 and all things gardening on "Judy Barrett's Homegrown" blog. Texas AgriLife Extension Agent Scott Kunkle. I go to this event every year! 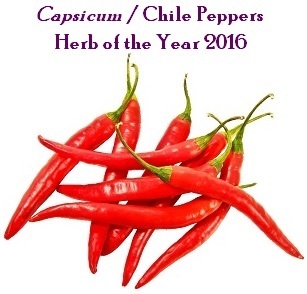 Round Top, Texas featuring herb of the year, the Chili Pepper! 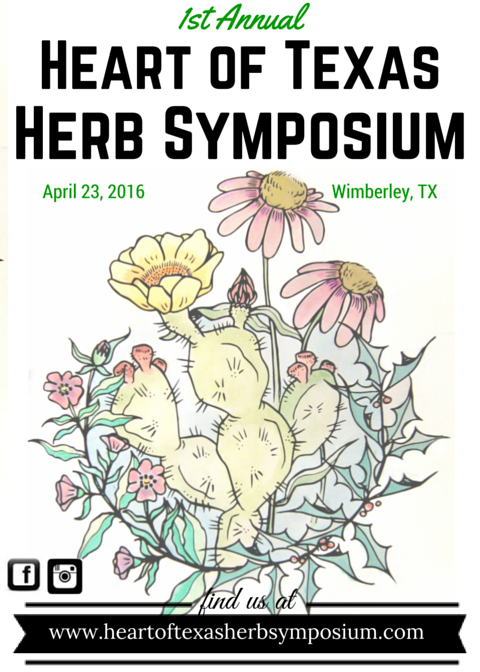 Workshops, speakers, herbal luncheon, herb plant sale. 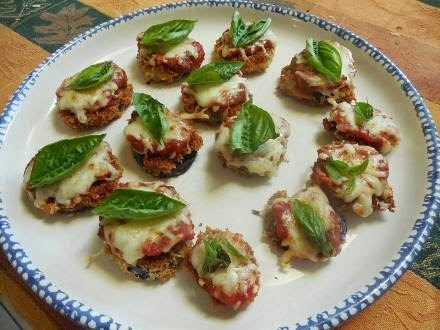 All things basil - need I say more? Early registration deadline $99 to March 15, after that $119. I plan on attending this event. begins April 29th, 2016, Austin, TX. Visit www.ezherbs.net for complete info and registration. Herbal vendors, plant sale, speakers. 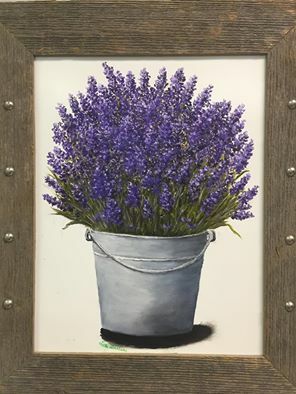 This festival is all things lavender! Totally fun to attend. I attended several years ago. (830-833-0910) while there - totally fun weekend! 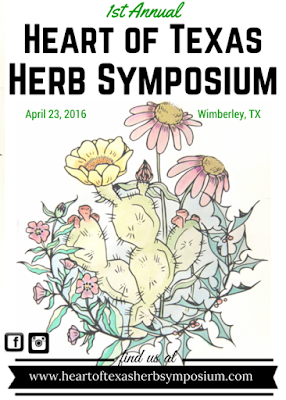 FREE family fun event with herb vendors, free programs, cooking demos. 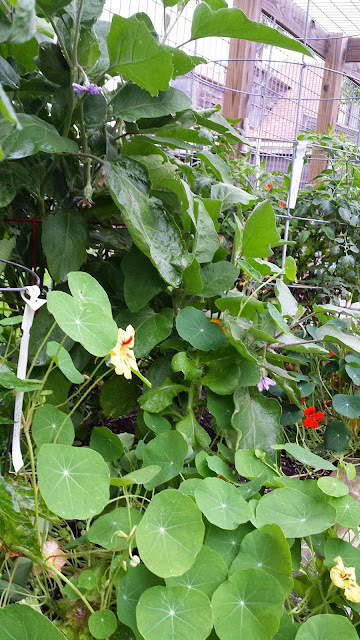 Customer Question – Something ate all the plants I had just planted into my garden a couple days ago. What could it be? My speculative answer - It could be rabbits. Our cat Dilly seems to keep the rabbits living around our property in check (knock on wood) from getting into the garden and we have plenty of rabbits in the front and back area. I wish I had a motion sensor camera to answer questions like this – at least one you could check out at the library as needed right indefinitely? 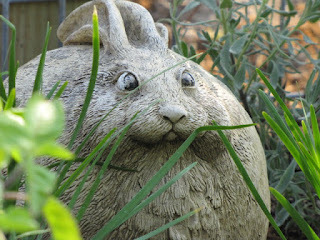 From a quick review of my many gardening books and online I found the following regarding rabbits. example above of a fenced garden to keep out rabbits. My friend Kate McSwain gardens uses horse troughs for her raised beds. I expect the height of these deter rabbits from getting into them. and he has been on the move lately - whoo hoo! The Gardener’s Supply Co. had a couple other good tips for Rabbit Control worth reading which I found helpful (including looking for rabbit droppings). Let me know what works for you. New for Me - How about You? Rivers End Nursery out of Bayview, Texas specializes in delicious tropical fruits from around the world and the plants that produce them. You can find their seasonal fruit at Franny's booth at both the Brownsville Farmers Market (FM), 9-noon every Saturday and the South Padre Island Farmers Market,11-1 every Sunday. Franny is a wealth of information and it's always a treat to visit with her. 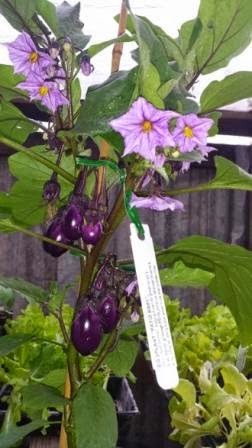 Kathy Pechacek of Rivers End Nursery reports this week you will find Longans (the end of their harvest is fast approaching) along with Star Fruit, Guava, Strawberry Guava, Sugar Applies, Citron (Buddha Hand) and Jambolan Plum at Franny's booth. but you want to eat the fruit around it, after it's been peeled. If you are like me, alot of these fruit are new to me. Last week I tried a Longan. They are easy to peel and have a nice taste. Its kinda of like eating a pomegranate but without the tart flavor. They have a pretty black seed inside of them.Be sure and try some at the market this week while they are still available. If you are like me, alot of these fruit are new to me. Last week I tried a Longan. Be sure and try some at the market this week while they are still available. They are easy to peel and have a nice taste. Its kinda of like eating a pomegranate but without the tart flavor. They have a pretty black seed inside of them. According to Kathy of Rivers End Nursery "Longans are probably best eaten out of hand. They are certainly a challenge in cooking because the flesh is hard to separate from the seed." The Tropical Fruit Growers of South Florida website states Longans are sometimes called "Dragon Eyes" because when the peel is removed, you can see the dark seed through the translucent flesh of the fruit and it gives the appearance of an eyeball! They have a great video on Longans worth watching. 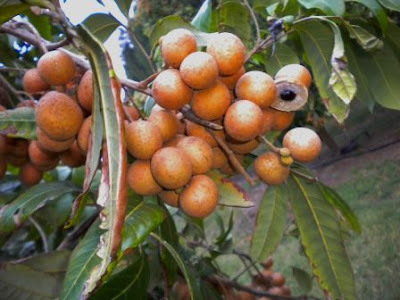 Don't miss out on buying some of these locally grown longans while they are still in season! Cook chicken in small amount of oil until fully cooked. Transfer to a plate to cool. over salad and toss to combine. Slice the chicken and serve with the salad. Sprinkle with macadamias to serve. Someone posted the fruit was good in jello too. Don't miss out on buying some of these locally grown longans while they are still in season! Speaking of Franny previously, look whose on the cover? This book, by Judy Barrett, looks really good and you can a pre pub discount if you order it before September 30th. We hope to get Judy down for one of her programs in the spring. 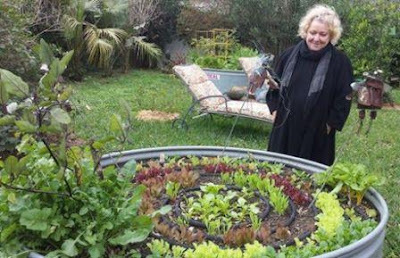 She writes an informative newsletter on organic gardening and is the author of several books. Judy Barrett posted on facebook: "Just got the preview copy of my new book! 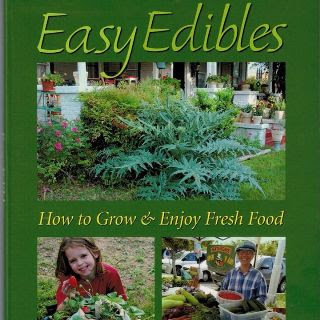 Easy Edibles: How to Grow & Enjoy Fresh Food. Lots of ways to grow and find fresh, local food without all the work of becoming a farmer! Add food to your existing landscape, pick-your-own opportunities, farmers markets, plant in containers and much more. It's $20 includling shipping and tax until Sept. 30. Order from me, Judy Barrett to receive this pre-pub discount before September 30, 2015." 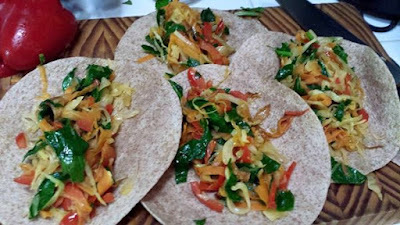 My homework from class - Chinese Burritos in the making. I am learning a lot from attending the La Cocina Alegre cooking and nutritional education class sponsored through a grant from WalMart and brought to us by the Brownsville Wellness Coalition (the wonderful folks who head up the Brownsville Farmers Market and Community Gardens along with gardening classes). I have three more classes to go and see why these are so popular. Classes are given in both English and Spanish. You not only get to take part in a cooking demonstration and get the ingredients and recipe to take and duplicate at home but you learn about the amount of sugar and salt content in food, how to read ingredient labels and not be misled by the wording on packaging to tell you what's in it, tips on using fruits to add sweetness in place of sugar, swap tips with other attendees and the list goes on and on. We also get a cookbook at the final class that includes the recipes we are using. Since I posted photos of this week's class on FB, I had several requests for the recipe - so here it is. Realize you can substitute other veggies, add shrimp, chicken beef or tofu if you want. We had mushrooms in the class demo and powdered ginger where I had fresh at home. Spice it up with hot peppers. Serve it with a side salad of sliced fresh tomatoes, chopped basil with olive oil and balsamic vinegar and goat cheese, depending on what you have in your garden or in the frig. It's very simple and doesn't take much time to prepare. I didn't make the peanut sauce but will get that recipe when we finish and we get the cookbook. I was thinking I need a medium size sauce pan but remember I have a wok pan that would work very well with this recipe. Need to get it out, dust it off and put it to use. I wonder if they will teach me the art of cleaning as I cook. I like the cooking and eating but not so excited about the cleaning up after. My mom and brother know how to do that, something I haven't quite mastered or tried to master actually. Heat oil in a medium skillet over medium heat for 1-2 minutes. Saute the onion for 5 minutes. 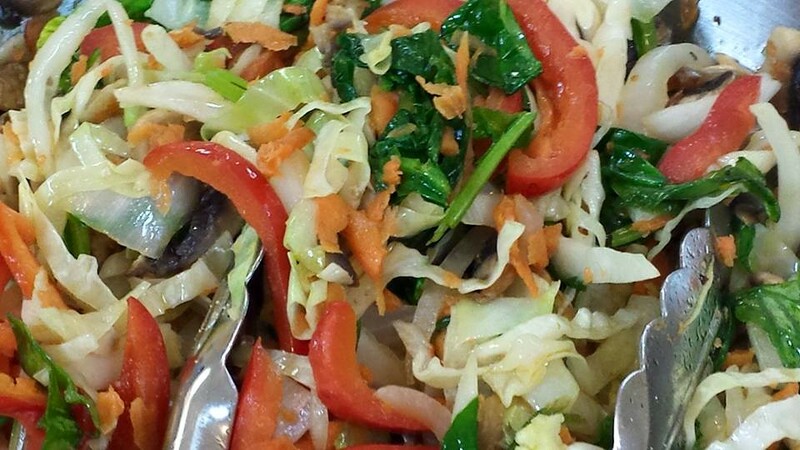 Add the cabbage, carrots, garlic, ginger, and bell pepper and cook for 5-10 minutes. Stir constantly to keep from burning. Add the Swiss chard or spinach and cook for 1-2 more minutes. Please 1/4 of the mixture on each tortilla. Place the tortillas on a baking sheet, seam side down. 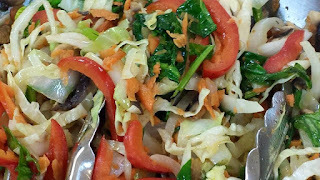 Cabbage, bell pepper, spinach, onion, garlic and mushrooms. Kudos to everyone who makes this program happen.To learn more about upcoming classes contact brownsvillewellnesscoalition@gmail.com or 956-755-0614.
in the Rio Grande Valley of Texas. from the garden gourmet lettuce? I totally agree! My lettuce is really big - do I continue pinching the outer leaves off for salads or do I cut them back? If I cut them back will they continue to grow? that means they are fixing to flower and go to seed. The main stalk will start to thicken and stretch upward. Harvest beforehand or they will become bitter tasting. Once you see your plants are starting to grow vertically, that means they are fixing to flower and go to seed. You want to harvest the whole head beforehand, otherwise they will be bitter to the taste. that make up that big beautiful head of lettuce. Some have only a single stem. 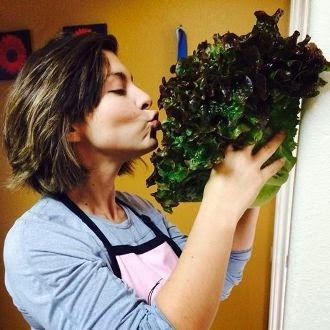 When you go to cut them back, you may find there are several heads that make up that one beautiful lettuce. You can just cut one stem portion if that is all you need right now and let the others continue to grow unless they are starting to grow up and flower. If it looks like they may be starting to flower, I would cut them all and use or share. You can let them go to flower, die and they will reseed. I usually pull them out to make way for new plants. Once cut back to the ground, they won't regrow. This lettuce variety has two main stems below the lettuce head. Lettuce grows in cooler temperatures which means the fall and spring in our area. 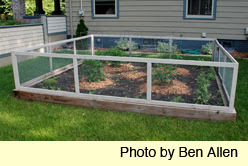 As most soil here is a heavy alkaline clay it is best to plant in raised beds either together or interspersed in your vegetable garden for good drainage or in 12" or larger containers that include holes for drainage so as not to drown the roots. A good compost added to the soil will provide nutrients needed. Nothing beats fresh picked lettuce for easy salad fixings. 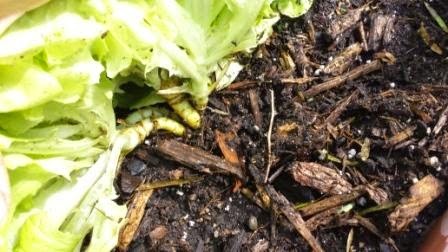 As lettuce has shallow roots it is best if the soil is kept moist so it will taste sweet but not so wet that it drowns and rots the roots or so dry that the roots dry out making it taste bitter. A drip system can help with this or water early in the mornings to prevent foliar diseases caused by late evening watering practices. Check the dampness of the soil of the top inch of the soil with your finger to determine if you need to water or not. Often my other veggie plants don't need water but my lettuce plants have started to dry out due to the wind so I will water around their base and not soak my other plants. 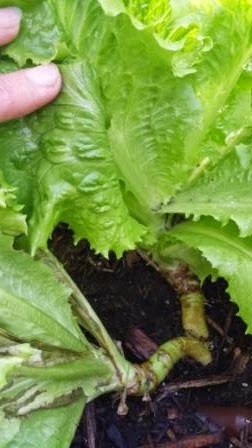 Rather than pulling up the plants to harvest, you can pinch off outer leaves or cut them straight across with a serrated knife, above the crown (where the base of the leaves meet the root) and some may grow back. See the first half of this article for more details. For later season greens sow seed or plant transplants a couple inches from the original plant after the 1st harvest. Harvest the first crop before it goes to seed or once the second crop is big enough to start harvesting. 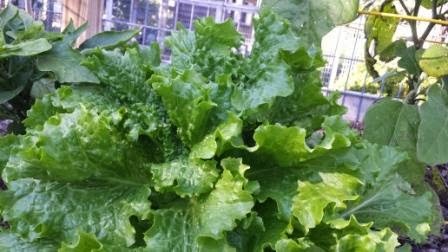 Once harvested I use a salad spinner/colander to rinse lettuce leaves, than cover with water and a few ice cubes for several minutes, swish, drain until the water is clear then spin-dry. I wrap leaves in paper towels and place in the lettuce drawer till ready to eat. Tear them into bite size pieces. Enjoy with a fresh vinegar and oil dressing topped with fresh herbs, edible flowers and other goodies from the garden. Eggplants grow very well here in the Valley due to our mild winters. Whenever everything else has given it up in the garden, in the heat of the summers, the eggplants seem to thrive even more. I think more people would grow them if they just knew what to do with them. One of the market vendors makes homemade babaganoush (pureed roasted eggplant, garlic, tahini, lemon juice and olive oil) and says he's going to bring me some but I'm still waiting. I've read you can stuff and bake miniature eggplants with a mixture of feta cheese, pine nuts and roasted peppers which sounds very tasty. As I've said before, I like them sliced, brushed with olive oil and grilled for a few minutes on either side for a quick, easy tasty side dish. Here's another way that has my mouth watering, just looking at 'em. Many thanks to my friend Angela Barnard for sharing what she did with hers. eggplant and homemade tomato sauce. I am so excited about these compact varieties as they make such a pretty container plant and make great gifts. When Angela's husband came looking for a birthday surprise for her last year, I suggested this plant, as it was the first time I had brought it to the market so I knew she hadn't seen it before. As a fellow Master Gardener, we are always looking for the new and unusual, at least to us and I knew she would appreciate this one. Another great new container variety that is really producing as you can see here is the "Patio Baby". I plan on potting a couple or one of each of these two to put in the entryway of our front porch as my new fall decorating scheme. Another good reason for us to sit outside and enjoy our front porch. small fruits that is bitter free. I just love how eggplants come in all sizes and shapes. 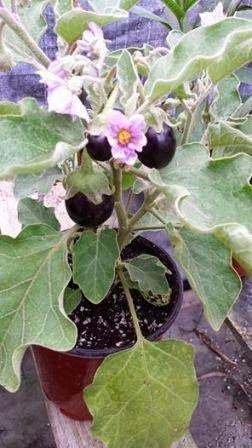 Here's another new variety for us that I think I failed to mention, in my last blog on eggplants. or pots. Height 30"x20" wide. Sun. 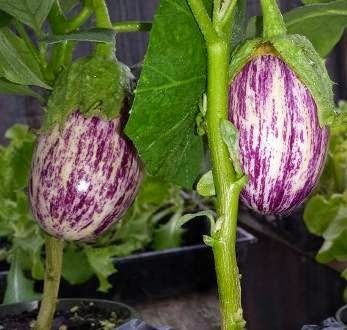 Maybe the trick to get more people to consider trying eggplant is to call it an Aubergine - that's the British English name for it. 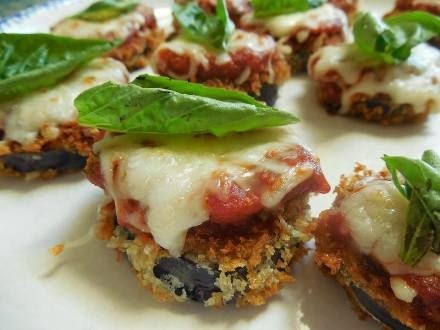 Try a search using aubergine recipes and you'll have lots to choose from. Sign up for my once a week e-letter The Garden Gate for plant availability, tips, recipe and events. You may know me as the lady who grows and sells herbs for the local Farmers Markets. What am I passionate about- digging in the dirt, talking "garden," stepping out with the bugs (not so much the stinging ants though), catching up with Kermit, photographing butterflies, hummers, planting and harvesting herbs, veggies and flowers, whenever I can.